Rangely’s Geli Brown and Patrick Scoggins competed at the Colorado Long Course Championships last weekend at the Air Force Academy in Colorado Springs and both represented their team well. 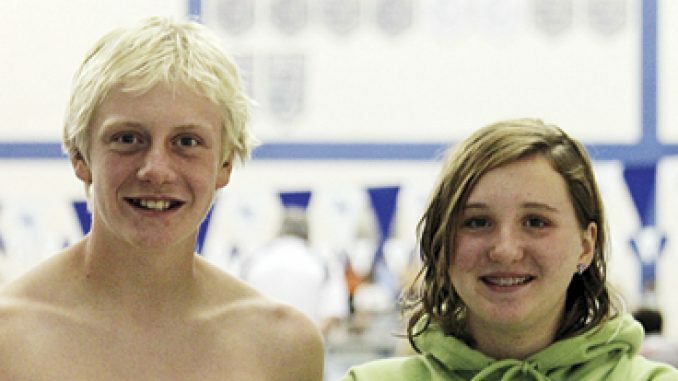 RANGELY I Rangely Hurricanes Geli Brown and Patrick Scoggins competed at the Colorado Long Course Championships at the United State Air Force Academy in Colorado Springs this past weekend. Swimming against some the very best athletes in the state from more than 50 teams both Geli and Patrick had outstanding performances. Geli competed in the 13-14 age group in the 50 Free and finished in a time of 30.44 and 39th place finish. 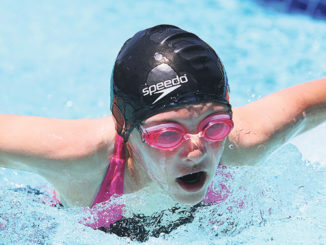 Competing in the 11-12 age group, Patrick swam through preliminaries in four of his races to compete the finals where he earned sixth place in the 100 Breast, eighth place in the 50 Free, fifth place in the 50 Breast and 15th place in the 100 Free. In his other races Patrick finished 26th in the 50 back, 31st in the 50 Fly and 23rd in the 200 Breast. In the meet Patrick swam a qualifying mark for the Western Zones Championships in the 100 Breast, and just missed qualifying marks in the 50 Breast by .36 of a second and in the 50 Free by .28 of a second. Geli and Patrick will be competing along with six other Hurricanes in Gunnison at the Scottie Aschermann Memorial Seasonal Club Championship Meet this coming weekend where the team will be defending four consecutive state championships in the small team division. 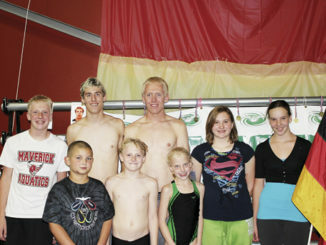 RANGELY I For a fifth year in a row, the Rangely Hurricanes swim team won the small team division at the Scottie Aschermann Memorial Seasonal Club Championship meet last weekend in Gunnison.